Gone are the days that snail mail or telegrams are the ways to write to people. In this digital age, email is the best way to reach people in a matter of seconds. The email is completely different compared to 5 years ago. Previously, the marketers sent basic emails to their recipient list by hoping to get responses from their subscribers. Now the subscribers expect an email marketing built to them and not receive the same twice. In addition to this last trend, we were able to develop advanced marketing technology that makes it easier to use and able to deliver this subscriber needs. Email automation campaigns have proven to have huge benefits for online marketing and provide an excellent way to nurture new leads. In Taximail, you can send out a series of relevant, timely messages that connect with your subscribers. These can be segmented for a particular campaign and sent to different subscribers group. The better you can relate to your customers, the more likely they are to stay with you as customers. This has the potential to increase the likelihood of them telling their friends, colleagues and business associates. Welcome Email to new customers. Track whether your customer has read your email. Cross sale alternate offerings to your customers outside of the normal business activity. Demonstrate proper process and registration procedures to increase customer confidence in your brand. Try this and see how your customers will be more engaged in your business. Email Automation is a sequence of emails based on action, automatically triggered and sent according to a frequency that you set such as opening an email, subscribe to a list or clicking on a link. Studies demonstrate that email automation increases the leads and the sales up to 60%. 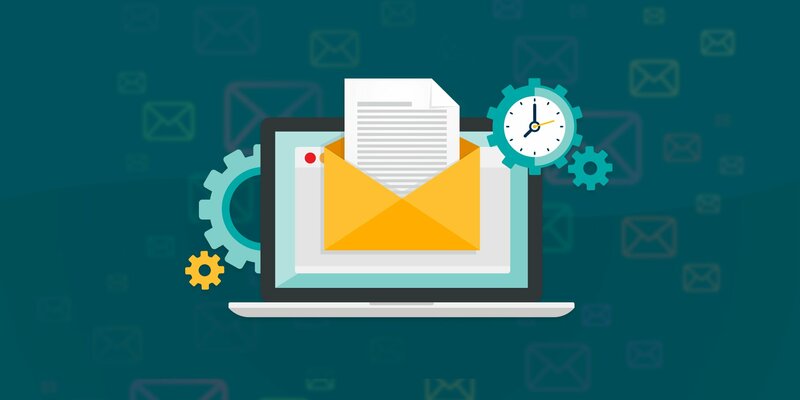 How to build an efficient email marketing automation campaign? After determining your subject line your should welcome your new subscribers with a stunning Welcome Email that looks like a digital handshake. This email should arrive a few minutes after they opt into your email list. You can write it with a friendly, light and educational tone to introduce your products including a special welcome offer. That seems to be evident but many companies miss out this main step. Choose the right topic that will interest your audience. You can look into your blog or your website to determine which subject is popular with your readers. You can even send a questionnaire to find out what subject, they are looking for. This will keep your subscribers engaged with your emails. Your email marketing must encourage your readers with pleasant content. Try to use positive words, keep them focus by explaining clearly your copy. It should be a message that is relevant to your audience. related to your content otherwise, it's misleading the subscribers. For example, create a great landing page with good feedback from your previous customers. Don’t forget to think about the time spent by your reader on their favorite brand. Even if they like this brand or they buy often, the truth is they don't have so much time to read the email content. With this in mind, you can design an email marketing without submerging them with too long content otherwise, you’ll risk to turn them off. When they get the idea that your email is too frequent or too long it'll be hard to get them back. So stay short when you are writing your email. Be careful of the email data embedded. For instance, include the links and try to create your email marketing according to the time of the reader’s attention. It should be tailored according to their needs. You can send them an automated email to thanks your new subscribers to your blog Newsletter and remind them what they’ll get from you. create a workflow with a list of people who engage the most with you. Set trigger such as the visit to your website, social media engagement, opening or click on your email. As they are highly engaged with you they are likely apt to share your content and them become Social Media influencers. Set triggers to reactivate contacts who don’t visit your website, click on your email for a while. Send them offers, discount, and promotions to get them excited about your product again. If you are running an E-commerce Website you should implement this workflow. The idea is simple when someone adds a product to a cart but leave the website without completing the purchase, you can send them an email to remind they forgotten to complete their transaction by offering an incentive. the customer's communication should not stop after they buy a product. Take advantage if you sell different products. You can send them a complimentary offer relating to their previous purchase. There are customers who buy according to a cycle. You can follow them up according to their purchase frequency and when they make a purchase. For instance, you are selling skin care products. As they should apply a day cream once per day you can determine when they will use all then send them an automated email to remind them that is time to order again this day cream.